After the fall of Constantinople to the crusaders in 1204, Boniface of Montferrat, the leader of the crusade, was expected by both the Crusaders and the defeated Byzantines to become the new emperor. However, the Venetians felt that Boniface was too closely tied to the Byzantine Empire, as his brother Conrad had married into the Byzantine royal family. The Venetians wanted an emperor whom they could control more easily, and with their influence, Baldwin of Flanders was elected as emperor of the new Latin Empire. Boniface reluctantly accepted this, and set out to conquer Thessalonica, the second-largest Byzantine city after Constantinople. At first he had to compete with Emperor Baldwin, who also wanted the city. He then went on to capture the city later in 1204 and set up a kingdom there, subordinate to Baldwin, although the title of "king" was never officially used. 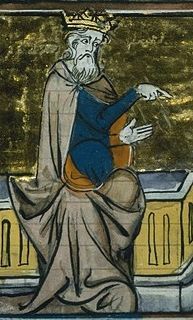 Late 13th and 14th century sources suggest that Boniface based his claim to Thessalonica on the statement that his younger brother Renier had been granted Thessalonica on his marriage to Maria Komnene in 1180. In 1204–05, Boniface was able to extend his rule south into Greece, advancing through Thessaly, Boeotia, Euboea, and Attica. The boundaries of the actual Kingdom of Thessalonica seem to have extended only up to Domokos, Pharsalus, and Velestino: southern Thessaly, with the towns of Zetounion and Ravennika, was under governors appointed by the Latin Emperor, and the principalities of southern Greece were only Boniface's feudal vassals. Emperor Henry of Flanders' expedition against the rebellious Lombard barons of Thessalonica in 1208–09, however, ended the feudal dependency of the southern principalities—the Duchy of Athens, the Marquisate of Bodonitsa, the Lordship of Salona, and the Triarchy of Negroponte—on Thessalonica, replacing it with direct imperial suzerainty. Boniface's rule lasted less than two years before he was ambushed by Tsar Kaloyan of Bulgaria and killed on September 4, 1207. The kingdom passed to Boniface's son Demetrius, who was still a baby, so actual power was held by various minor nobles of Lombard origin. These nobles, under the regent Oberto, began plotting to place William VI of Montferrat, Boniface's elder son, on the throne, and openly defied the Latin Emperor Henry of Flanders. Henry marched against them in 1209 and forced their submission. As a result, Henry's brother Eustace then became regent for Demetrius. Taking advantage of this situation, Michael I of Epirus, a former ally of Boniface, attacked the kingdom in 1210, as did the Bulgarians. Henry of Flanders eventually defeated both, but after Michael's death in 1214, his brother and successor Theodore began anew the assault on the kingdom. Over the next nine years Theodore gradually conquered all of Thessalonica except the city itself, as the Latin Empire could spare no army to defend it while they were busy fighting the Byzantine Empire of Nicaea in Asia. In 1224, just as Demetrius had become old enough to take power for himself, Theodore finally captured Thessalonica and the kingdom became part of the Despotate of Epirus. The kingdom was claimed by titular kings of the house of Montferrat until 1284 and also by the Dukes of Burgundy; Baldwin II of Constantinople had promised the title to Hugh IV should he regain the Latin Empire. ^ E.g. Salimbene de Adam, Chronicle, 1966 edition vol. 2 p. 790. Cf. (Runciman & 1951-1954, vol. 3 p. 125), and for full discussion (Haberstumpf 1995, pp. 56–67). ^ Van Tricht 2011, pp. 161–162. ^ Van Tricht 2011, pp. 162–163. ^ Gibbon, Edward (1906). Edward Gibbon, The History of the Decline and Fall of the Roman Empire, vol. 11. New York: Fred de Fau and Co.
^ Anne Van Arsdall, Helen Moody. The Old French Chronicle of Morea: An Account of Frankish Greece after the Fourth Crusade. Routledge. ISBN 9781134797462. Baldwin I was the first emperor of the Latin Empire of Constantinople. As Count of Flanders and Hainaut, he was one of the most prominent leaders of the Fourth Crusade, which resulted in the sack of Constantinople and the conquest of large parts of the Byzantine Empire, and the foundation of the Latin Empire. He lost his final battle to Kaloyan, the emperor of Bulgaria, and spent his last days as his prisoner. Henry was the second emperor of the Latin Empire of Constantinople. He was a younger son of Baldwin V, Count of Hainaut, and Margaret I of Flanders, sister of Philip of Alsace, count of Flanders. 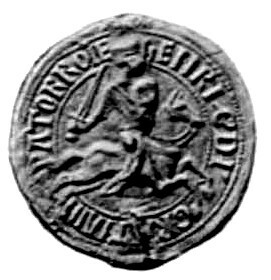 Boniface I, usually known as Boniface of Montferrat, was the ninth Marquess of Montferrat, the leader of the Fourth Crusade (1201–04) and King of Thessalonica. Michael I Komnenos Doukas, Latinized as Comnenus Ducas, and in modern sources often recorded as Michael I Angelos, a name he never used, was the founder and first ruler of the Despotate of Epirus from c. 1205 until his assassination in 1214/15. Theodore Komnenos Doukas was ruler of Epirus and Thessaly from 1215 to 1230 and of Thessalonica and most of Macedonia and western Thrace from 1224 to 1230. He was also the power behind the rule of his sons John and Demetrios over Thessalonica in 1237–1246. Demetrius or Demetrios of Montferrat, , was king of Thessalonica from 1207 to 1224. Othon de la Roche, also Otho de la Roche, was a Burgundian nobleman of the De la Roche family from La Roche-sur-l'Ognon. He joined the Fourth Crusade and became the first Frankish Lord of Athens in 1204. In addition to Athens, he acquired Thebes by around 1211. The March of Montferrat was a frontier march of the Kingdom of Italy during the Middle Ages and a state of the Holy Roman Empire. The margraviate was raised to become the Duchy of Montferrat in 1574. Marie of Brienne was Latin Empress as the wife of Baldwin II of Courtenay. She served as regent during the absence of Baldwin II twice: in 1237-1239, and in 1243-1257.